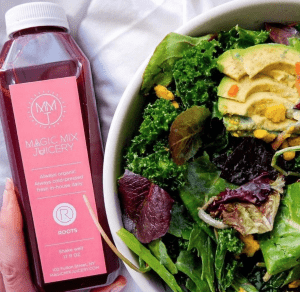 If you have been following Ace for any amount of time, you probably know all about our amazing customer Magic Mix Juicery (originally profiled here). Magic Mix was started by Jil Larsen after she was diagnosed with the skin condition melasma. Taking her health into her own hands, Jil changed her diet and was shocked by the improvement. 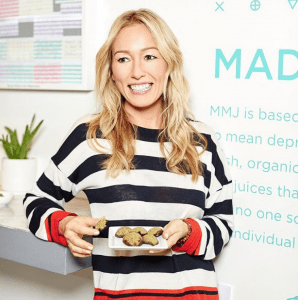 She ended up leaving her job at a law firm to start Magic Mix Juicery, where all the food and drink is organic, gluten-free, raw, vegan, kosher, and GMO-free, not to mention made from scratch. A few years later, MMJ is not only going strong but is also known throughout the city. 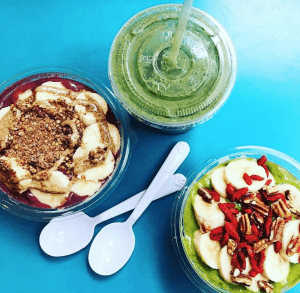 Last year, we stopped by their Tribeca location and were completely enthralled by their Pink Floyd Bowls, Turmeric Shots, and Choco Coco drinks. Today, we are excited to announce that they just opened an online store, Magic Market, making their innovative products even more accessible. 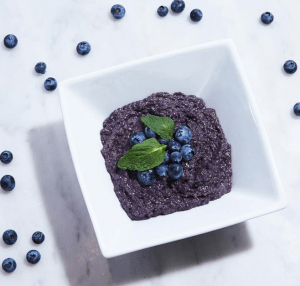 The new site boasts a plethora of Juice Subscriptions “so you never run out,” Plant-Based Meal Plans ”to keep you full,” Juice Cleanses “to get you glowing,” and extras from the Magic Market including “snacks and teas that nourish your body.” Browsing through the offerings, we were particularly interested in the organic, plant-based and dairy-free Not Your Grandma’s Granola, made with sprouted buckwheat and unsweetened cherries, plus a ton of nuts. Also on the list of things to try was the Coco-Nutty Bacon, made with paprika and chipotle-seasoned coconut meat. Snacks aren’t all they’ve got, though. 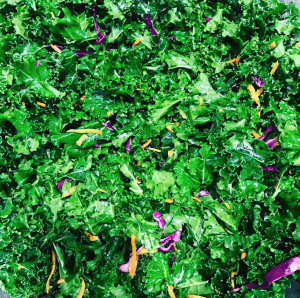 If you’re looking for some juice, order the Daring Cleanse: 6 cold-pressed juices in 3 days, including yummy classics like the kale and spinach-based Green Radiance and the beets, apple, lemon, and ginger Root De-Stress. 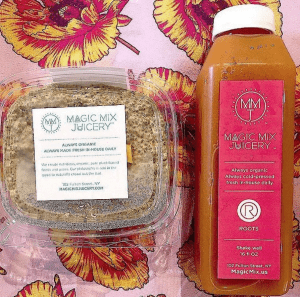 If you’re a foodie who prefers to eat your meals, you’ll be pleased to learn that Magic Mix offers a meal plan that looks pretty bomb: breakfast includes a chia bowl or other plant-based dish, lunch and dinner are either a salad or a plant-based entree, and you can snack on 3 organic, cold-pressed juices throughout the day. And if you just want some good old-fashioned tea? The Magic Market has you covered: their loose leaf teas run the gamut from zero caffeine to highly caffeinated. We were intrigued by the extra-strength, extra-energy Horse Power tea. Why? 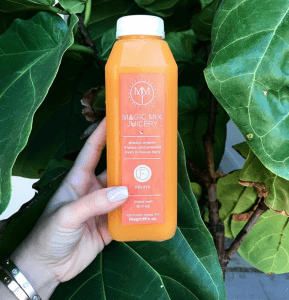 Because, as Nicki Minaj says, “Sometimes you gotta be a beauty and a beast.” Well, we couldn’t agree more–and honestly, there is no better eatery to help you with that life goal than MMJ. 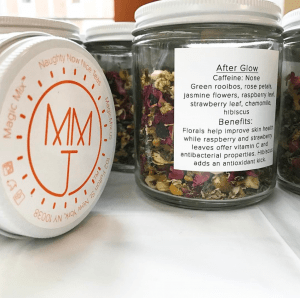 Order today from the Magic Market–and let us know what you try!